Cook Ease caters to the grandest celebrations and the most intimate parties in the Greater New York City and New Jersey area. Chef Marla Mendelsohn’s experience, talent, attention to detail and creativity can provide the finest food, service and ambiance for your special event. 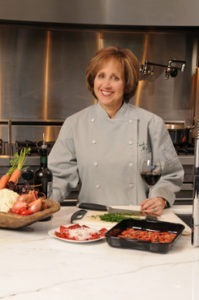 No matter your age or cooking experience, Marla offers cooking lessons and group classes for everyone. Whether you’d like a private lesson or a class, you’ll have lots of fun while learning. A group cooking class can be a party in itself…for a bridal shower, birthday, anniversary, couples’ get-together. Corporate Team Building programs give business personnel a tasty and powerful learning experience. Personal Chef services are available for your convenience and to improve the quality of your life. Weekly dinners prepared fresh to accommodate your palate and diet can be arranged and delivered. Great for busy people who want to come home to a wonderful meal and for those who are done with cooking!